Not quite like this, but it should happen on another big stage. Backlash will see the dust of WrestleMania and the Superstar Shakeup settle once and for all. From there, WWE's summer calendar kicks off, and fans are already looking ahead to see what the company is cooking up. 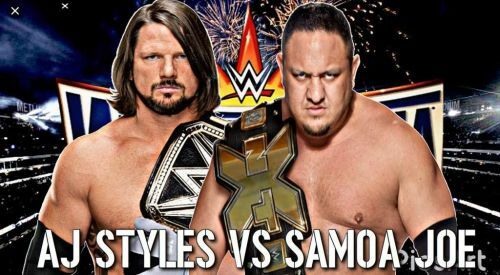 What feuds will take us through Money in the Bank and into the climax of the season, SummerSlam? Some seem obvious, like the unfortunate continuation of Brock Lesnar vs. Roman Reigns as well as a story arc involving Alexa Bliss, Mickie James, Natalya, and Ronda Rousey, with the latter two likely locking horns in Brooklyn. What other feuds will we be served up? What do we want to see? We've seen some hints over the last few weeks we can also guess and fantasize as to other possibilities. This feud has been meandering for a long time, but now that WrestleMania and the Shakeup are over, and they've both had a match with Ruby Riott in the same week, that should get things kicked off, right? Some shenanigans tonight will force things to a crisis, right? If not, it's time to drop the angle. It's now or never. We know Banks and Bayley can deliver. Their feud in NXT was one of the best of the decade, and though we can't expect them to equal those heights on Raw, it would be very desirable to see, and far better than the strange holding pattern they're in.